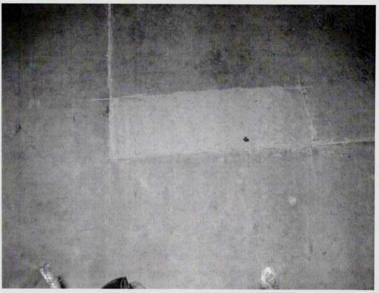 1.Prepare regular concrete batch with W/C chosen for targeted Final Hardening Time (FHT) shown below. Minimal mixing amount of concrete batch must be no less than ¼ CY or ¼ m3. 2. 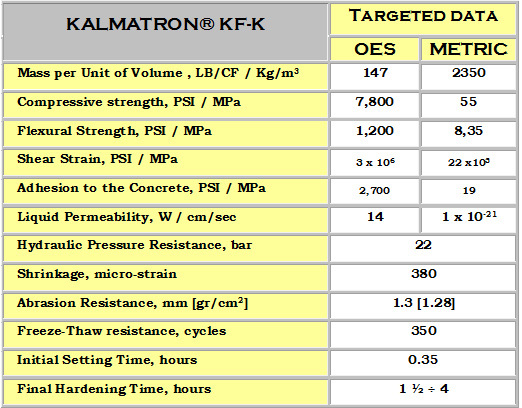 Add 10 Lbs/CY or 6 Kg/m3 of KALMATRON® KF-K into the mixer respectively to the batch volume. FHT of 3 hours requires W/C = 0.417, etc. 3.__Mixing time should be 5 minutes for 30 RPM mixer and for high speed blender it is no more than 30 seconds. 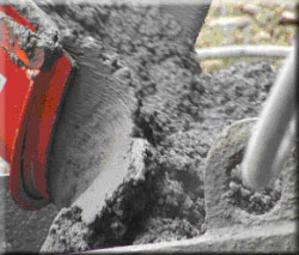 Final mix will be viscous, sticky and moveable with very good workability for application of concrete in place. 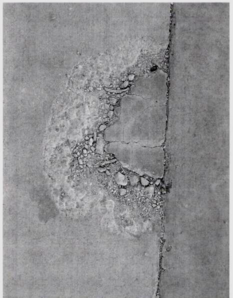 Minor damages of concrete road. Preparation of area by cuts. 1 Gallon of water per 50 Lbs of concrete with KF-K mixed on a job site for 5 min. Patch after 4 hours is ready for traffic. 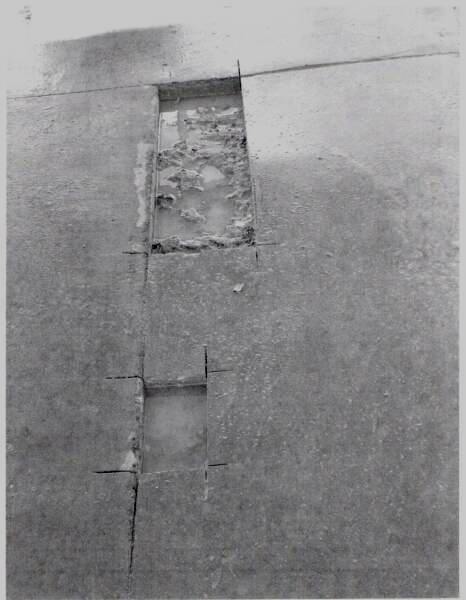 Close up of cold joint between patch and old concrete. No dilatation after results in no drying gap between. The limits of hardening time must be requested by the customer and adjusted by the W/C ratios. 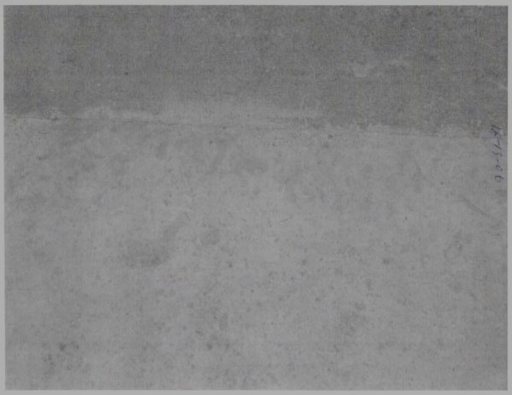 KALMATRON® KF-K is an admixture to conventional concrete mixes for quick preparation of Patching Concrete with high viscosity, strong adhesion and without cracks. KALMATRON® KF-K, added as 10 LB/CY or 6 Kg/m3 increases resistance to abrasion and impermeability to any liquids, including purified oil and gasoline. Final Hardening Time (FHT) varies from 1.5 hours to 4 hours, which depends on the patch size, water amount and/or mixing time. 1. Clean up damaged area with brush and water. 2. Chip out the edges of the dent or cracks. 3. First apply Patching Concrete onto the edges. 4. Next, pour Patching Concrete into the damaged area. 5. 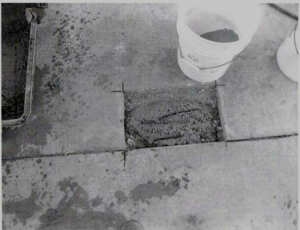 Make sure that the layer of Patching Concrete is even with the edges of the damaged area. 1 ½ hours after application by metal brush. a thickness of 1 ½” or 38 mm for highest impermeability. 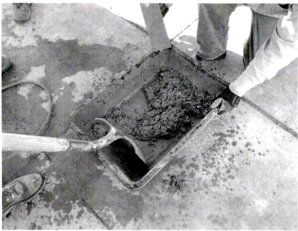 KF-K is designed for patching of any concrete made surface including heavily trafficked industrial floors, manholes, gas stations, sewers, septics i.e. any localized repair jobs which need to becompleted in the shortest amount of time. High adhesion, compressive strength, resistance to abrasion and freeze resistance, as well as highest liquid impermeability allow the service period to last up to 10 years. KF-K is ideal for water proofing structures designed for unstable humidity and temperature conditions, such as public and industrial buildings and structures.